Free. Donations support Concerts at Cedar Lane. Thursday, October 8, 2009, is National Depression Screening Day. Depression Screenings are being offered throughout the country using the materials and structure of the Mental Health Screenings organization. Pastoral Counseling and Care Ministries is offering a Depression Screening on October 8th at Warner Memorial Presbyterian Church at 10123 Connecticut Avenue in Kensington. DROP IN any time between 10am and 6pm on Thursday, October 8. If you have questions, please contact Kathy Kohl at 1-888-626-2273, box 3. Participants will complete a written screening questionnaire, view educational materials, pick up pamphlets and brochures, discuss questionnaire results with a licensed counselor, and receive guidance toward finding help and resources when needed. Depression and anxiety can be debilitating, life-threatening illnesses. But often people suffering with these conditions do not know they have an illness that can be treated. If they do know that these conditions can be treated, they may not know where to turn for such help. Because of the economic downturn in this country, there has been an increase in the number of people experiencing these mood disorders. The symptoms of depression may include lack of energy, changes in eating or sleep patterns, sadness, irritability, and a sense of hopelessness. Anxiety is fear about future uncertainties and may be accompanied by feelings of panic. If you or someone you know may be experiencing symptoms of anxiety or depression, this is an opportunity to clarify your concerns and receive education and guidance on how to get help. The Press Contact for this event is Kathy Kohl at 1-888-626-2273, box 3. Adam’s Belle is a roller coaster ride through the life of the late Isabel Washington Powell. This first-person narrative charges through Isabel’s life from her early childhood days as a baby “drama queen” in her hometown of Savannah, Georgia to her stage debut kicking up her heels at Harlem’s famous Cotton Club in the 1920’s. Isabel soon meets a real life “Prince Charming” who happens to be the nation’s most eligible bachelor – Adam Clayton Powell Jr. The two fall madly in love and plan to share their “heaven on earth” for the rest of their lives. With much pain and agony, Isabel learns that not all fairy tales have happy endings. Ultimately, she develops the strength to celebrate herself and even overcome breast cancer on her nearly 100-year journey to becoming a true living legend. As a native of Los Angeles, California, Joyce Burnett has always been interested in music, entertainment and fitness. She knew little, however, about the dynamic sounds and lifestyle of the Harlem Renaissance until she ran head on into Isabel Washington Powell. From the moment they met, Joyce was enthralled by the vivid pictures Belle painted of her life. Joyce worked closely with Belle for almost ten years to record this incredible story. Belle was very pleased with the early draft of Adam’s Belle, but sadly, she passed away before her story was published. Joyce holds degrees from Wesleyan University, Johns Hopkins, and American University. Let Hot Club of Takoma Park sooth your Saturday afternoon with the sounds of instrumental old timey jazz, standards, bluegrass, folk and blues. Live music and books, what more could one want? Come and enjoy! In the greatest journey of his life, Eric M. Latham literally walked across the United States to raise money for cancer research. Along the way, he met thousands of people who shared their amazing stories with him. Now, he's sharing those stories with the world. Take Steps with a Purpose: A Walk About America for Cancer Research is an inspirational story about tragedy and triumph, about life and death, about hope, courage, and strength. But most of all, it's a story about people and how they're affected by cancer. Full-color photos and nearly 200 pages detail the faces of America. Take Steps with a Purpose records each challenging step Eric took to fight for a cause that he believes in. Born in D.C. and native to Rockville, Eric recently moved back to the area. He is also the author of Entitled to a Nation. across from the Safeway indoor parking garage. Selling: Local fresh apples, cider, apple butter and preserves. & Fawcett Streets in old town Kensington. computer equipment, childrens’ car seats, sofas or heavy over-stuffed chairs. hours of 8 AM and 7 PM. Tax donation receipts gladly given. Kensington Historical Society presents the 3rd Annual Antiques Road Show. $10 for evaluating up to three items. Evaluations will be given verbally and are meant to give you an idea of the possible market value. It is not an offer to purchase. Nothing bought or sold. Books, Autographs, Maps, Prints, Jewelry, Rugs, Asian, Americana and General Antiques. Welcome to this classic four bedroom, two bath colonial in Chevy Chase View. Built in 1923, this home enjoys all the charm of yesteryear with original woodwork, wide doorways, graceful moldings, 9 foot ceilings, and a great front porch. The first floor features hardwood floors, living room with fireplace which opens to the family room, dining room with antique chandelier, table space kitchen with pantry and a wonderful screened porch with views of the gorgeous backyard. The bedrooms on the upper level all have ceiling fans and the original transoms over the doors. A walk-up attic can be easily converted to a fifth bedroom, family room or office. The lower level features an unfinished basement with utility, laundry area and storage and it opens out to the backyard. A large driveway provides easy parking and access to the property from Everett Street. Impeccably maintained, this home possesses new bathrooms, many new upgrades in the kitchen, and additional updates throughout the home. Welcome to this updated four story split-level home in the Maplewood neighborhood of Bethesda. The interior of this spacious home has been recently painted and the hardwood floors have been refinished. Enjoy the sun-filled new kitchen with stainless steel appliances, granite countertops, and warm maple cabinets. This home also features four bedrooms and two full baths on the top level. The lower levels are highlighted by a large recreation room, half bath, laundry room and a large utility room and storage area. The large level backyard is surrounded by mature trees and plants and is enhanced by a brick patio. 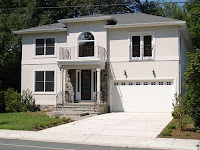 Centrally located, this home is within walking distance of NIH and Navy Medical Center. You are close to public transportation, area schools, I-495 and I-270, shopping, and much more! Don’t miss this year’s 16th Annual Kensington 8K Race, 2-Mile Challenge and 1K Fun Run on Saturday, September 26. This year’s race again will benefit the Town’s three public schools: Kensington Parkwood E.S., North Bethesda M.S. and Walter Johnson H.S. Race start times at 7:45 am for the 2-Mile, 8:30 am for the 8K and 8:35 am for the 1K. You can register online by going to www.signmeup.com/65021. You can register by mail by going to www.kensington8k.org – click on “Download a printable application here” in the lower left-hand corner and be sure to note the new mailing address of 10537 St. Paul St., Kensington, MD 20895. To volunteer as a course marshal, please email Sam Hoxie of Gary Ditto’s office at sam.hoxie@longandfoster.com. To volunteer for something other than course marshal, please email Beth Seabreeze at jakechasemom@msn.com. Please be aware that there will be no parking and no vehicular traffic on the race route (which includes some of the town’s streets) for a short time on the morning of the race. Accordingly, some homes on or near the race route may be impacted. To see a map of the route, please go to the website at www.kensington8k.org. If you have any questions, please contact Jenny Smith at jenny.kensington@verizon.net or 301-946-3804. Kensington Park MOMS Club (a national support group for mothers who primarily stay home with their children) invites moms and their families to the annual picnic! The picnic will take place on Saturday, September 26th from 11:00am to 1:00pm at Puller Park (off Beach drive). This event is TONS of fun and a wonderful, relaxing way to meet other moms and their spouses and children. Come enjoy the beautiful September weather. The Kensington firemen wi ll be there with their truck for the children to see and explore. There will also be tattoos and bubbles for the kids including a few surprises. It is $5 for each family to enjoy the picnic which includes pizza, drinks, dessert and snacks. Please contact kpmomsclub@yahoo.com <mailto:kpmomsclub@yahoo.com> prior to the event if you are not a current member, but are interested in attending. Kensington Park MOMS Club (a national support group for mothers who primarily stay home with their children) invites moms to attend the monthly meeting on Wednesday, September 30th at 10:30 am at the Kensington Park Library, 4201 Knowles Ave., Kensington, MD 20895. The program for this month's meeting will feature children's entertainer Susan McNelis, also known as Oh Susannah! Her musical performances blend familiar favorites and lively originals perfect for singing and dancing along. Singer/songwriter/guitarist Oh Susannah! was voted Best for Families by readers of Family Magazine and was just nominated for the WAMA awards, Best Children's Artist and Best Children's Recording! Welcome to this exquisitely updated and renovated two bedroom, two bath rambler in the Parkwood neighborhood. This charming home has many wonderful features and a backyard that provides a quiet and tranquil oasis for relaxation and entertaining. The sun room and dining room take advantage of panoramic views of the backyard. Relax in the spa style full bath which includes a heated Jacuzzi tub, custom designed shower doors and beautiful Emerald Pearl Norwegian marble. The kitchen was renovated with Heritage cabinets and Verde Mare granite and provides ample storage and functionality for cooking. Many of the major systems have been updated and replaced and a generator was installed in 2006 to provide uninterrupted electrical service. Centrally located, this home provides easy access to public transportation, schools, shopping, close proximity to I-495 and I-270, Beach Drive and area parks. Welcome to this updated and renovated four bedroom, three full and one half bath Dutch Colonial in Kensington’s Rock Creek Highlands neighborhood. This classic home offers the ideal setting for relaxed living and entertaining. The first floor of the home offers a den/office, formal living and dining rooms, and a gorgeous custom chef’s kitchen which opens to the inviting family room. The first floor is enhanced by large picture windows with views of the picturesque backyard and gardens. The upper level features an Owner’s Suite with sitting room, bedroom, lots of closets and a gorgeous full bath, 3 additional bedrooms, full bath and laundry space with Kenmore Elite Energy Saving washer and dryer. A finished lower level offers a recreation room with office space and access to the large patio and backyard, a full bath, storage, and a large utility room. Additional appointments include elegant crown, chair rail and decorative moldings, hardwood floors, 4 fireplaces (2 gas, 2 wood burning), garden storage shed, and many new upgrades. Sited on a lovely lot, the home is centrally located to take advantage of public transportation, area schools, shopping, Old Town Kensington, and much more! Welcome to this three bedroom, two and a half bath Colonial located in Rock Creek Hills. Among its many features, this home offers wonderful space throughout including a light filled living room with views of the private back yard and deck, a large table space kitchen, as well as a first floor family room with fireplace and abundant closet space in the master bedroom. Please also note the two car garage. Centrally located, you are so convenient to downtown DC with both the Marc train and Metro close by, as well as being near the area’s schools, shopping, Rock Creek Park and much more!